An interesting conversation broke out in the Portuguese Hawaiian group on Facebook over the role foremen and lunas played on plantations in Hawaii. 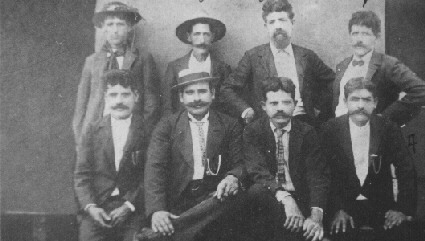 Lunas and foremen were the ones who kept workers in line and kept work flowing. Although I’m concentrating on the Hawaiian Sugar Plantation system, my thoughts could apply to any authority figure in a supervisory role during this era. Some folks were shocked when they learned that their ancestor was a foreman or luna–and what their roles were on the plantation. You see, their jobs were to keep order and discipline on the plantation and they had the backing of the plantation owner and the police as they meted it out. The foreman was on foot walking around the fields. This was in contrast to the luna who was on horseback. They both carried whips. The luna might also have a pistol, though those were usually reserved for the big foreman or overseer who were higher up the hierarchy. The foreman and luna were seen as the enforcers. One kept an eye from the ground and one from above. The laborers feared them. Through the early 1900s, the three “management” positions, luna, foreman, and overseer could only be held by people who could become citizens. Although all lunas were not Portuguese, they dominated the profession. It was the highest position they could rise to in the early years. Workers loading cane (Source: Library of Congress, Prints & Photographs Division, [reproduction number, e.g., [LC-USZ62-1234] , Frank and Francis Carpenter Collection, no restrictions. How Did Some Foremen and Lunas Keep Workers in Line? It is important to note that although their were laws on the books to protect laborers, they were rarely enforced. Discipline was meted out with little restriction. The laborers, many of them illiterate and unaware that they had rights, accepted their plight. Lunas and foremen had full authority to use whatever means they deemed necessary to stop insubordination and to keep laborers from disobeying the rules. Slapping, kicking, and beating were as used in concert with pay docking and the assessing of fines. If someone was really out of hand, the police were called in to handle the troublesome employee. Why Did They Carry Whips If Whipping Was Against The Law? Let’s talk about that whip that the foreman, luna, and overseer carried. Whipping laborers was against the law early in the sugar plantation era, according to Pau Hana by Ronald Takaki, page 74. Corporal punishment was legal and acceptable, but whipping employees was not. There was this little problem of enforcement, or the lack there of, of the anti-whipping law. Some who carried whips cracked them as a warning. But, workers were whipped. They had the scars to prove it. That is the reality. Think of the poor laborers in the fields doing what was a called hoe hana. It was brutal work. You bent over a row of sugar cane hoeing for hours on end. Don’t stand up to straighten your back and stretch your muscles! The foreman who make sure you went right back to work. What Kind of Man Would Do This Work? It’s not easy for folks to accept Great Grandpa Felicianno whipped someone or kicked them so hard that they were injured. No, not easy to accept at all that men cowered when Great Grandpa approached–afraid to upset the man who had the power to make your life miserable. What kind of man was he anyway? Well, he may have been the type of man who was tired of working in the fields in 90 degree heat. He might have been tired of the cane leaves cutting through his clothing and skin and the blisters that formed on his hands and feet. He might not be able to handle the back pain from hoeing that would plague him the rest of his life. He might have been the type of man who got tired of the horrid conditions in the sugar house when temperatures exceeded 100 degrees. Sometimes people died horrifying deaths in the boiling cane vats. Not only would he want to avoid dangerous working conditions, Great Grandpa Felicianno may have had another motivation: his family. He’d return from the fields at the end of the 10 hour work day exhausted and worn out. He then had to face his 10 children who might not have had enough to eat all day and his wife who might have spent her day hoeing in the fields, sewing sugar cane bags, or doing laundry for single male workers. Someone in this group was a luna. Should we think the worst of him because of it? That same overworked man who couldn’t get enough food on the table might be offered a job as luna or foreman. He could earn in a week what it used to take him all month to earn. He wouldn’t have to toil in the fields or in that sweltering hot sugar house. Better pay and no more working bent over in the hot sun or sweating over the boiling sugar vats. He may even be able to have dreams for his children. His oldest son might be able to go to high school. How can you judge that man when he becomes a foreman or luna? “I would never have done that!”? “I certainly would not punch my employees!”? Could you be so certainly you would not do those things if you would no longer toil in the hot sun, that your wife would not would not have to carry her baby out to labor in the fields, and your children would have no longer complain of hunger? Remember this. This was acceptable labor practice at the time! It’s far too easy to view the past from our modern perspective. It’s too easy to judge when we will never face the same situation. We must remember that there weren’t very many, if any, labor laws at the time. 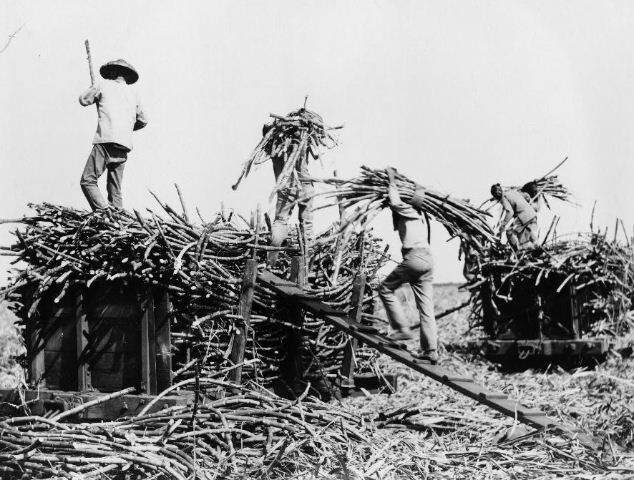 The treatment that was meted out on Hawaiian sugar plantations was standard for the time. Whether we’re talking coal mines, sweat shops, or sugar plantations, it’s okay to look back and say “How awful! No one should be treated like that!” There’s no use in pretending that somehow our great great grandfather was different. He was a good man, he saved that dog, didn’t he? And, the plantation children loved the lariats he made for them, didn’t they? We have to be honest, though. Lunas and foremen were authority figures. They were feared and respected. Some were downright cruel and hated. It is what it is. But, before we judge the people involved, we need to step back. We need to view this through the lens of the 180os. We need to walk a mile in their shoes. Until we know what it was like to be them and know that there were very few opportunities for advancement, we shouldn’t pass judgement. It might have been the best that they could do. I know this is a difficult topic. It’s not easy comprehending certain things that were acceptable in another time. But, the more we learn, the more understanding we have…the better we are at making sure history doesn’t repeat. Have you found a luna or foreman in your family tree? My dad cut cane and also worked in the pineapple fields. The lunas on horseback did whip the workers like slaves in the Cotten fields. It was slave labor by the plantation bosses and the enforcers.